Carpets are considered a necessity in every household but it is very difficult to clean these carpet once it get stained. The effort is real and many people have declared it a difficult task. If you want to clean your carpet and leave a mark of the stain, you have landed on the right page. Many cleaners claim that they are the best carpet cleaner and with the help of these cleaners one can get rid of any stain, no matter how hard is the stain. It all depends on the quality and making of the carpet, if the carpet is thin it is easy to remove the stain and on the other hand if the carpet is thick and heavy, the more difficult it is to remove the stain. There are however some methods which can be employed in this situation to make sure that the carpet get clean and the stains are removed without having to go to the laundry and spending a huge amount of money to remove the stain. 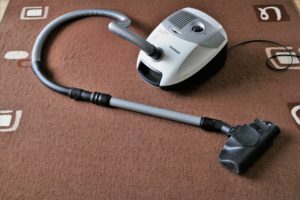 These are some of the best methods and techniques to be utilized for carpet cleaning. Here is how each one of them works. 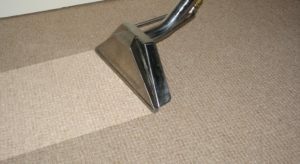 It is also known as steam carpet cleaning, this technique utilizes the high pressure of hot water in order to penetrate into the carpet fiber and dissolve all the dirt in the carpet by washing it away. This method is used at a number of places all over the world. First, a cleaning agent is applied on the carpet followed by brushing and rinsing of the spoiled surface. The cleaning agent is allowed to dissolve in the carpet and once it is dissolved, the carpet is exposed to high pressured hot water and then left to dry. This is a very hectic task and large carpets may require a time of almost 3-4 hours to clean as they are huge and every inch of carpet requires brushing. The carpet is left to dry and once it is dry it is good to use. This method now becomes obsolete but it is still utilized in some areas. This method is obsolete because of too much use of shampoo and after shampooing the carpet, no rinsing was done which caused a lot of dust particles to settle down on the carpet. Once shampoo is applied to the carpet, it is necessary to rinse it off otherwise it settles down and makes the carpet heavy. This technique is now overcome by the encapsulation method. This method is gaining popularity day by day and it is utilized by a number of companies all over the world because it is more efficient and requires less water as compared to other methods. This method is also called Foam encapsulation as a base of detergents is applied to the carpet and this base crystallizes into powder once it is dry. All the dust particles take the form of powdered crystals and it is easy to wash them off with the help of water, brushing or rinsing. This method has taken over the method shampooing as it requires less water. Use of less water suggests that it will require less time in drying as compared to other methods. As this method requires less water and detergents it is also endorsed by environmentalist and its use is highly recommended because it is not wasting any resources and in the minimum requirement of water, it is completing the task efficiently. This is good method to employ but when it comes to heavily spoiled carpets this method is not very effective because the base of detergents is not able to penetrate deep into the carpet and because of that, heavy dust particles which settle down and are not turned into powdered form and as a result they don’t get washed off. This is the only limitation of this method, it is very efficient for smaller carpets and should be utilized to clean carpets at homes and smaller carpets at offices. This technique involves a heavy machine which helps in getting the dirt off the carpet. The machine is equipped with a spinning pad at the front which is immersed in a cleaning solution and it absorbs all the dirt from the carpet surface. The machine is utilized on the top part of the carpet. This technique is very popular in hotels and restaurants as it gives quick results in a very short time. In places where there is a large flux of people, it is very efficient to employ this technique as it does not require people to halt their errands and wait for the carpets to get clean. However, because of the machine immersed in chemicals, heavy particles are absorbed in the carpet and they emerge after a few days. This technique is efficient for quick cleaning but it is not efficient for thorough cleaning. This is the latest and efficient technique when it comes to carpet cleaning. It involves a machine to penetrate deep in the carpet and open it for further cleaning. Other techniques lacked in cleaning the carpet thoroughly while this technique gives proper results, a biodegradable substance is used for carpet cleaning and with the help of the machine, and the substance is deposited deep in the carpet which causes the dust particles in the carpet to clean. The substance used is mostly micro-sponge because it is very effective in absorbing dust particles and these particles are later cleaned with the help of spinning machine. This is the advantage of this technique, it does not require a lot of water and detergent, and it only requires a spinning machine and micro-sponge for effective cleaning. This technique has taken over the market and it is used in the most workplace, homes, offices, and restaurants.